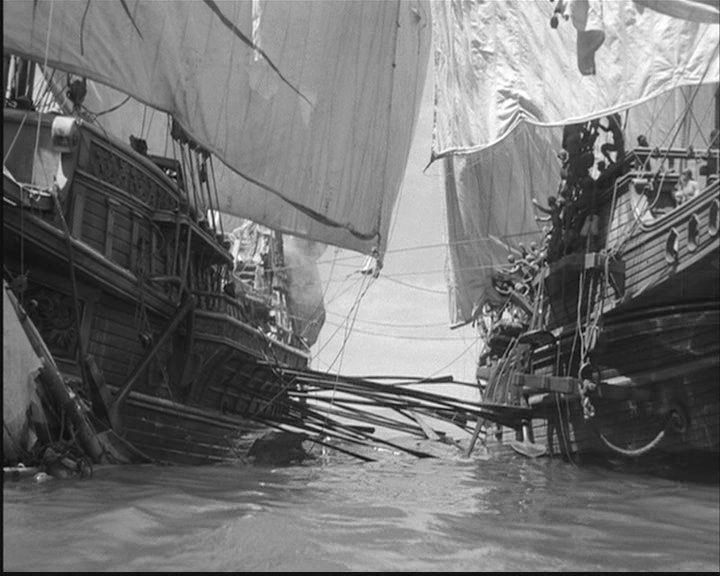 This re-built modelshipsinthecinema site has been up for some weeks now and I hope is working as well as it did. 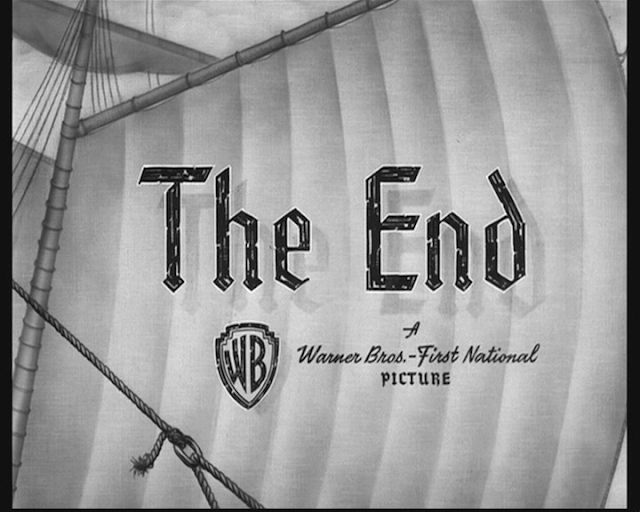 The only thing I note is that the search is not as intelligent as the old wordpress site's search function, you have to spell the title correctly and virtually word for word for it to work which is a little irritating. 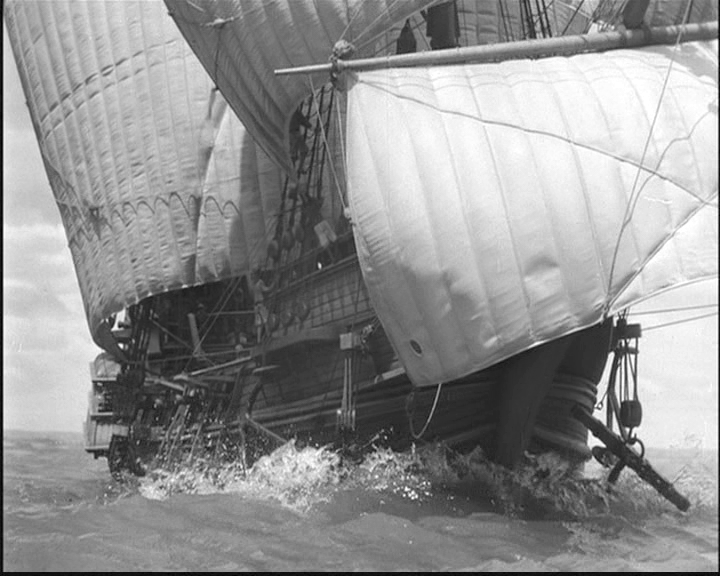 If there are any issues do please let me know in the comments and I will see if it's anything I can fix. 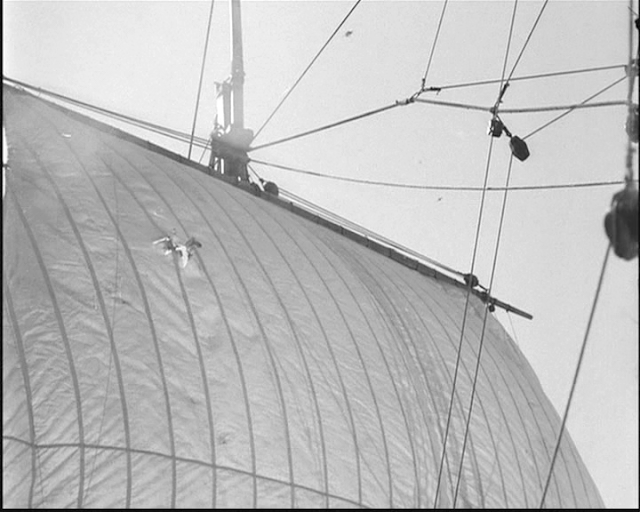 Before we get to the mystery photographs I would just like to announce that a new blog venture and sister site to this one, is now operational namely modelaircraftinthecinema.blogspot.com. 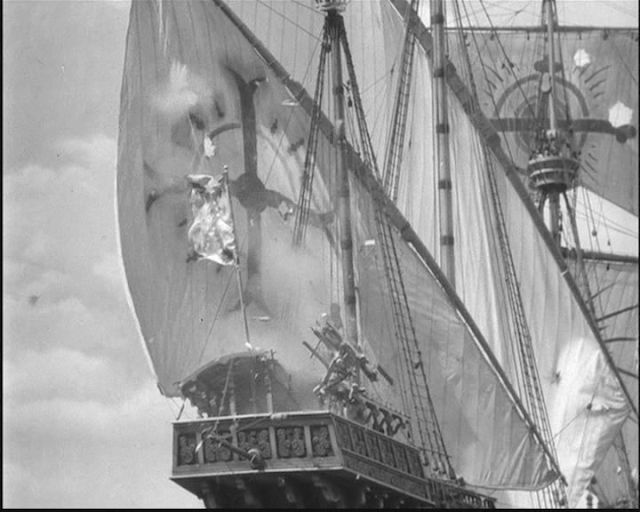 It follows the exact same format as modelships but features model aircraft of all types, that is any movie model of a vehicle that flies in an atmosphere, so fantasy airships are in but spacecraft are out, besides model spaceships are more than amply represented elsewhere online. 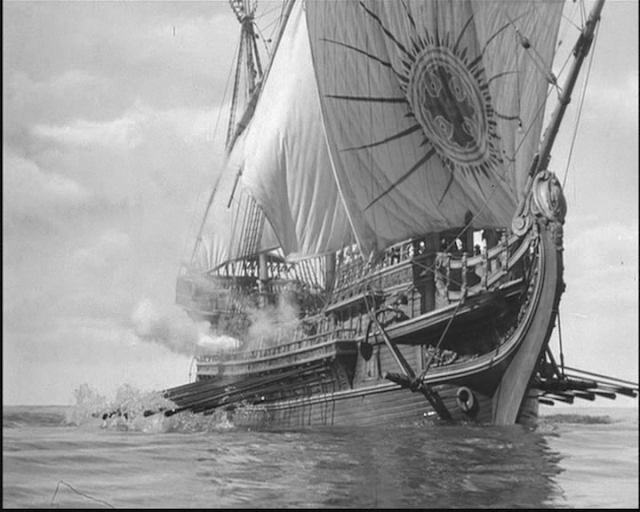 There are currently four entries posted along with a model control page. 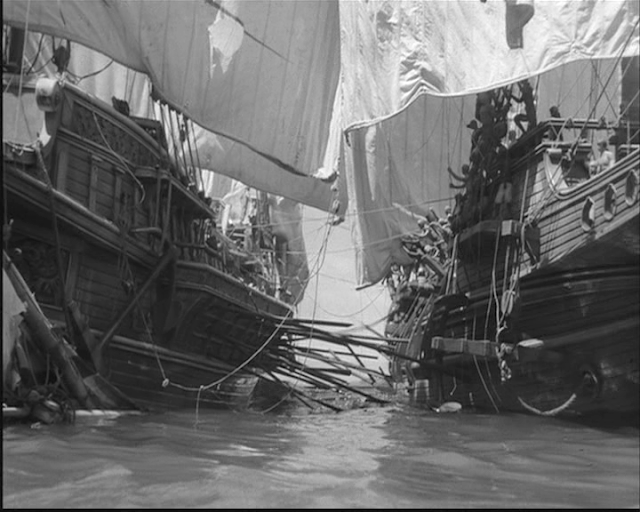 I have not yet completed the indexes but they will appear in the same format as the indexes here separated into movies released before the year 1970 and after (and including) 1970. 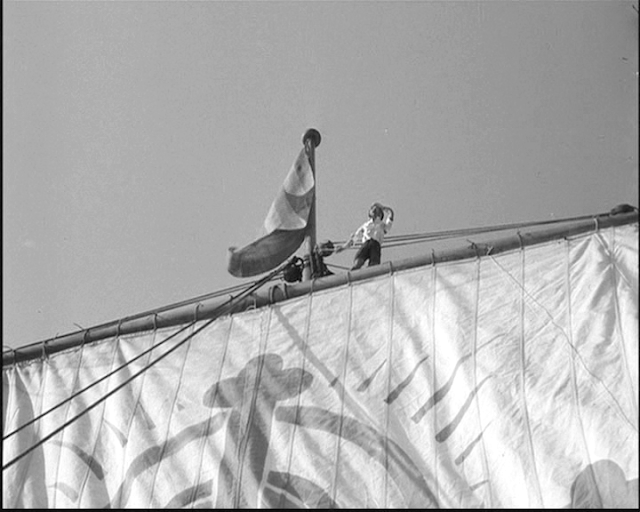 I will not re-cover movies with model aircraft that have already been covered here but will include links in the model aircraft indexes that reference the original modelships post. 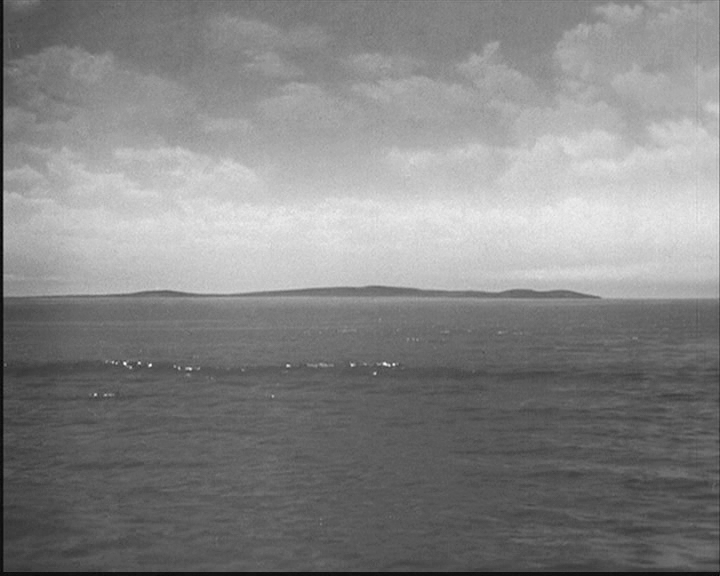 I have also commenced work on another sister blog modeltrainsinthecinema.blogspot.com which is not quite ready to go yet. I'll let you know when it is. I recently acquired a couple of photographs of a miniature English seaside pier and beach. 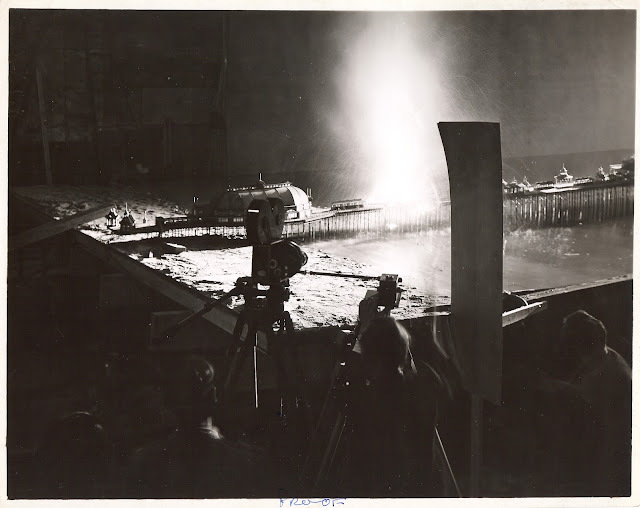 One shows the camera set up and lighting of the miniature pier with beach and ocean with some technicians standing on the miniature set while the other appears to show an explosion going off on the pier from the same position. 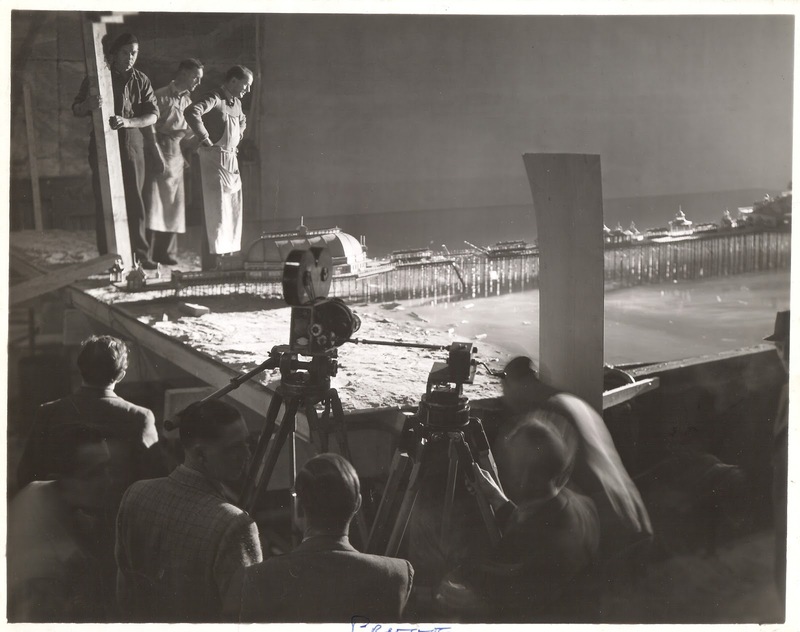 The only information on the back of the photographs is " Special effects/ model stage at Shepperton Studios" and " Property of British Lion Distribution". 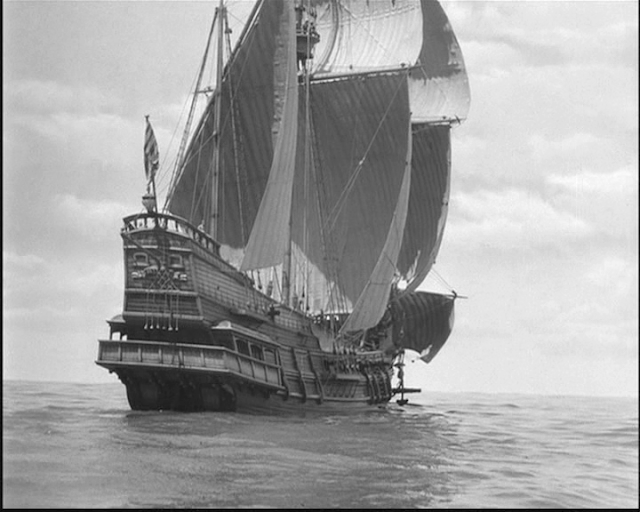 A person on a facebook group I am on suggested it is a model of Eastbourne Pier and it certainly looks like a perfect match. 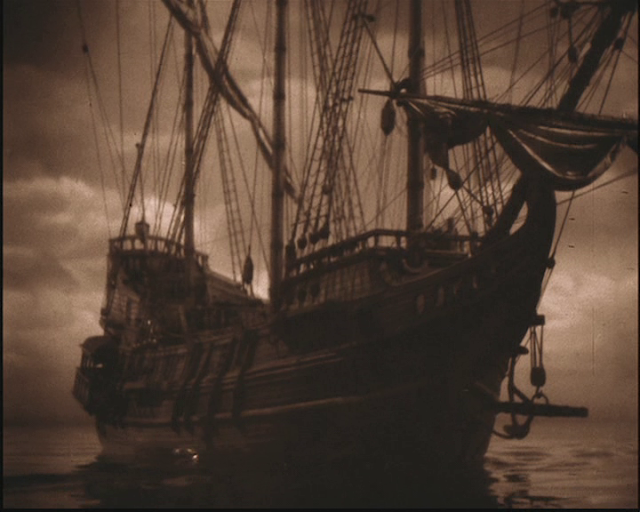 The Camera in the photos is a Bell and Howell 2709 with a remote hand crank mounted on a second tripod. 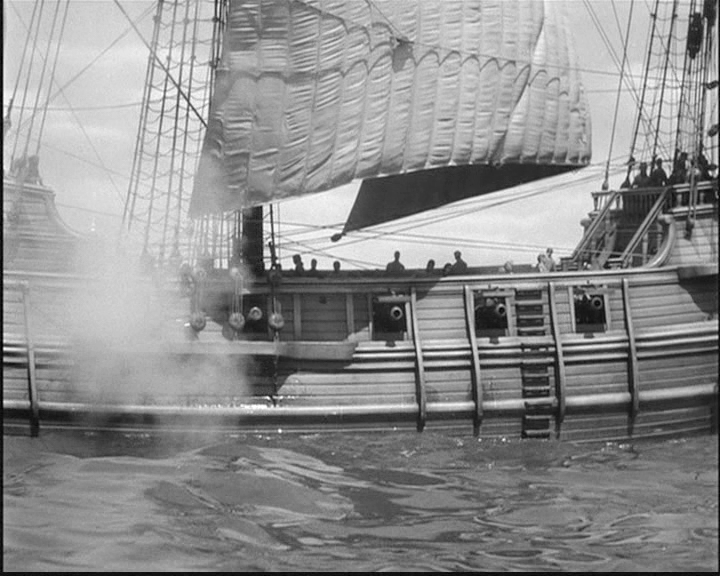 I assume this is to isolate any unwanted camera shake while cranking rapidly. In fact in the second photo the cranking arm of the camera person is a total blur. I was always under the impression that 2709's were unsuited to high speed work as they use a very precise film movement where the registration pins that engage the sprocket holes are fixed. 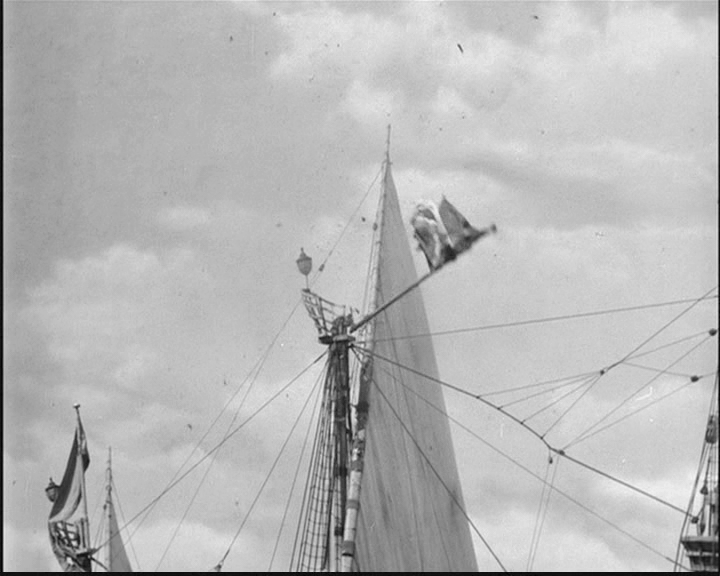 This means the film has to be lifted up off the pins, advanced one frame and replaced back on the pins for the next frame. This is an inherently slower process than a High speed Mitchell where the registration pins retract, the film is slid on to the next frame and the pins extend back into position. 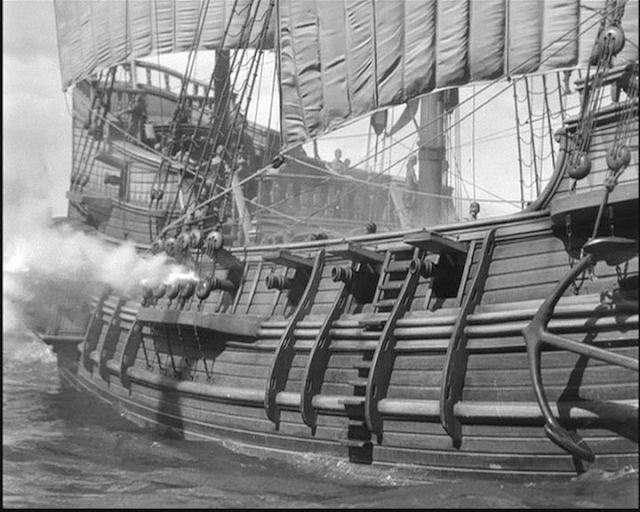 The Mitchell was capable of 128 Frames per second top speed where the 2709 I believe could only achieve about 64 frames per second, especially when hand cranked. 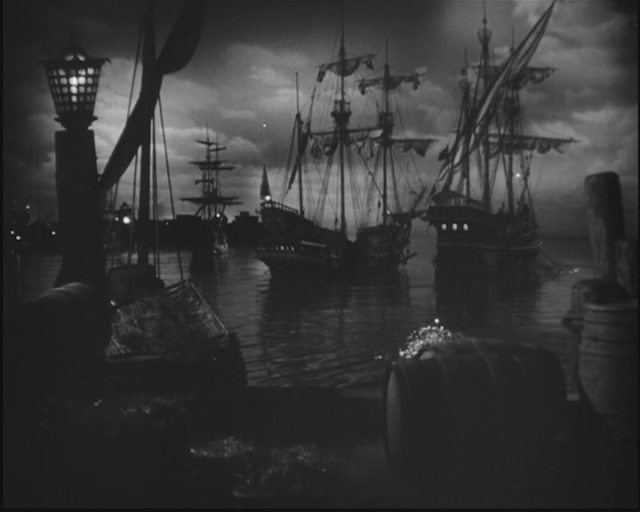 If the Bell and Howell was was most commonly used for taking miniature shots in Britain at the time it would explain the criticism I have expressed in the past that many miniature shots were not filmed at a high enough speed to impart the desired illusion of scale. 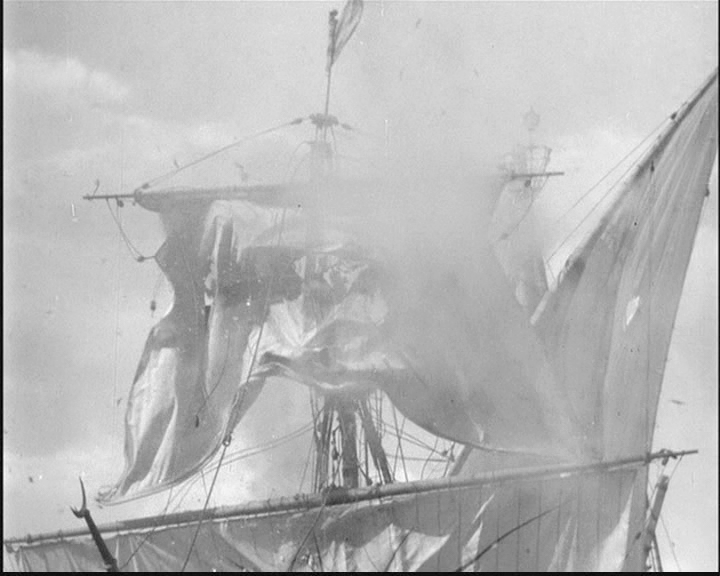 The other notable aspect to the first photograph is the Pier seems to be broken up at the point of the explosion shown in photograph 2. This would suggest that this still photo was taken after the event had been filmed. 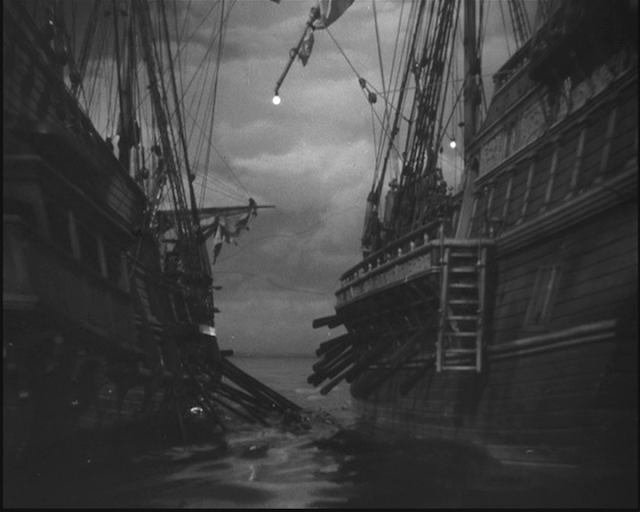 Two of the three technicians standing on the set are staring at the damaged section, probably wondering if they will have to go in and repair the pier for a second take. 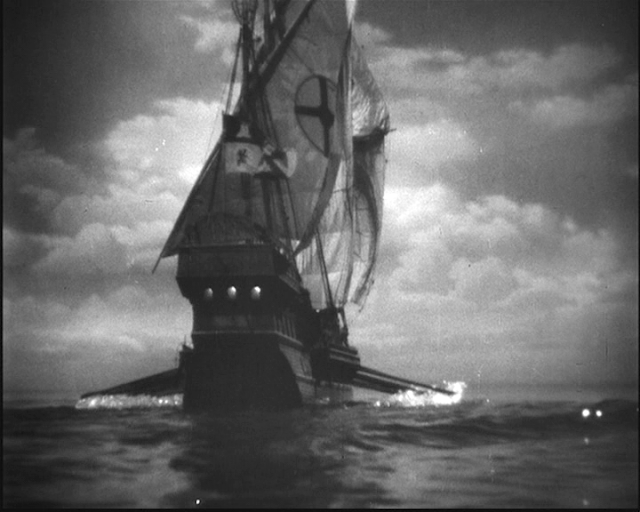 I would love to know the title of the film that these belong to, so if any of the erudite readers of this blog has any idea please let me know in the comments. 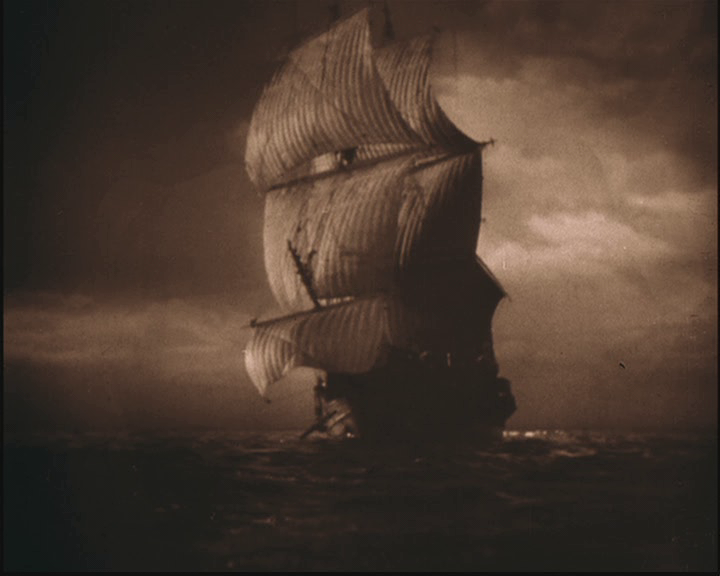 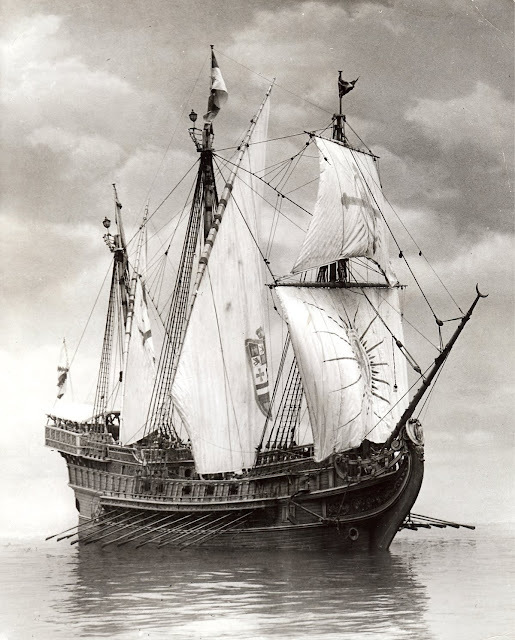 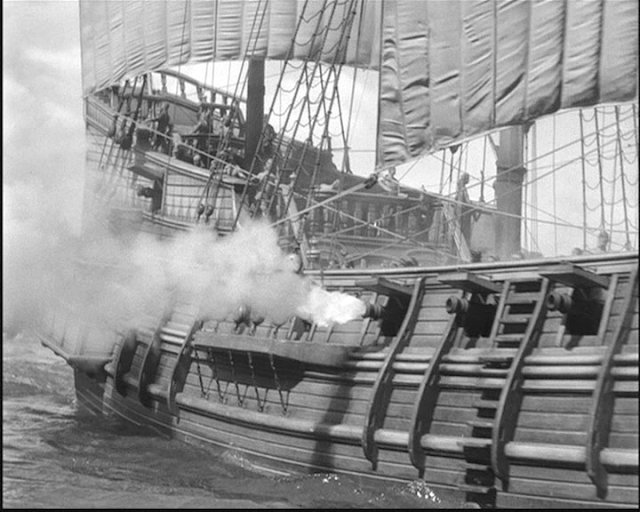 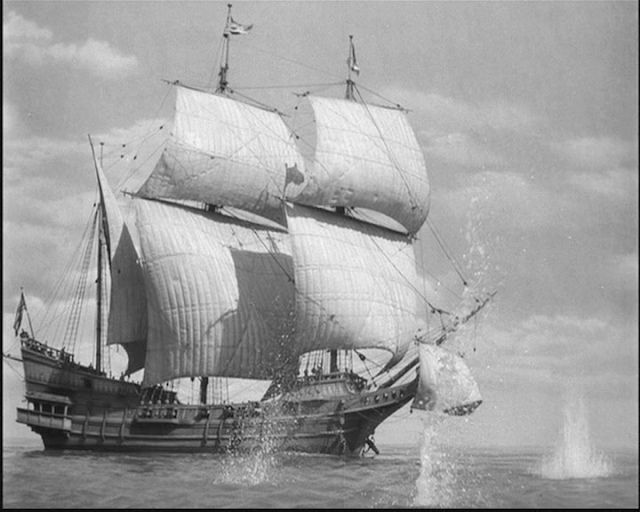 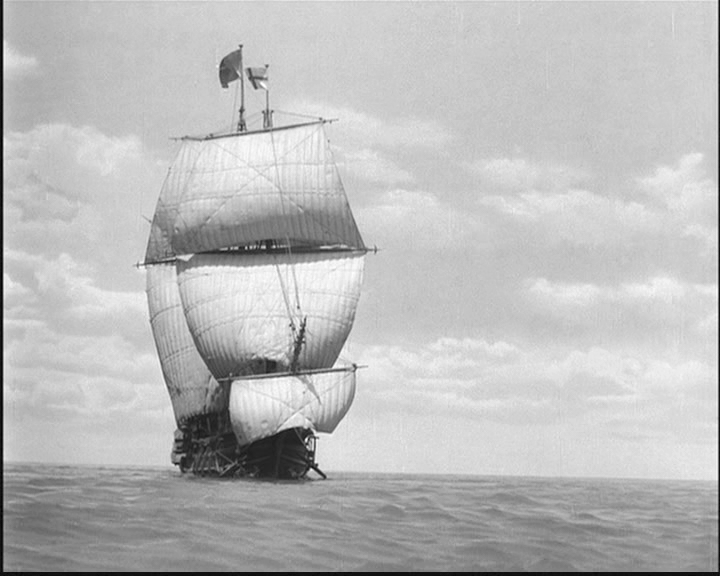 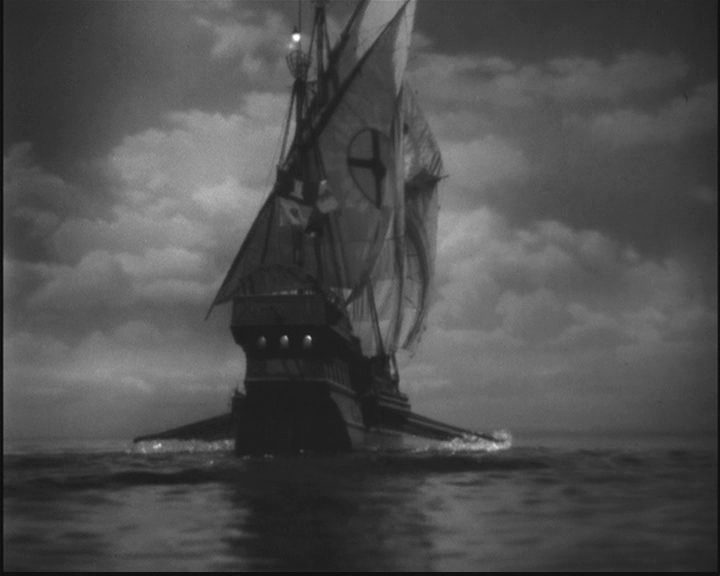 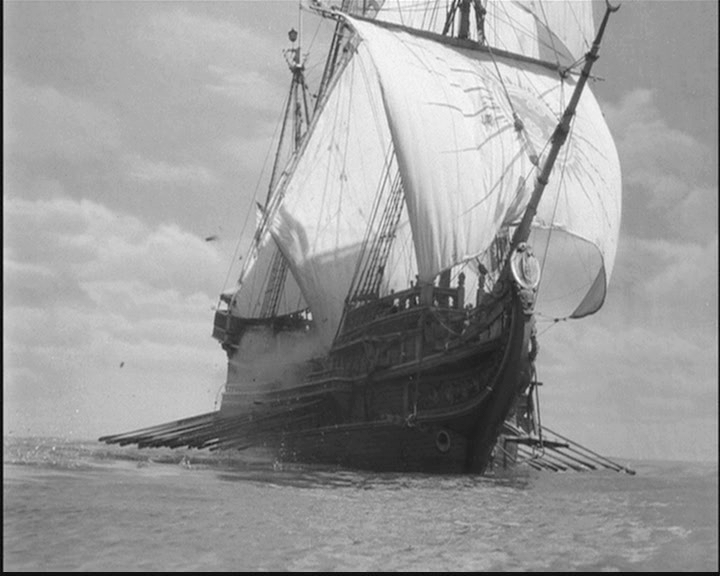 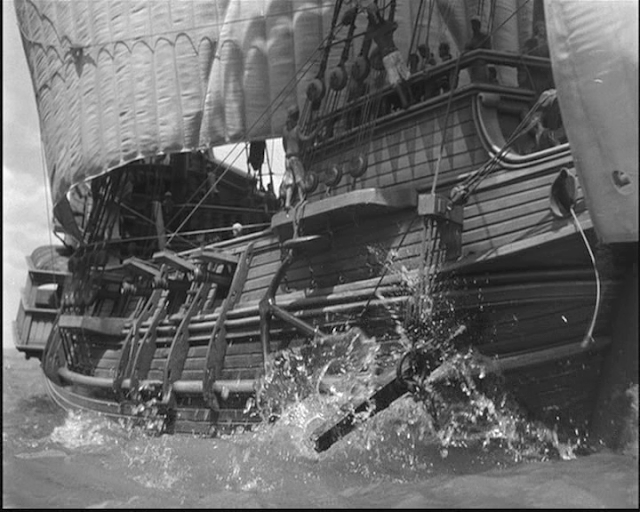 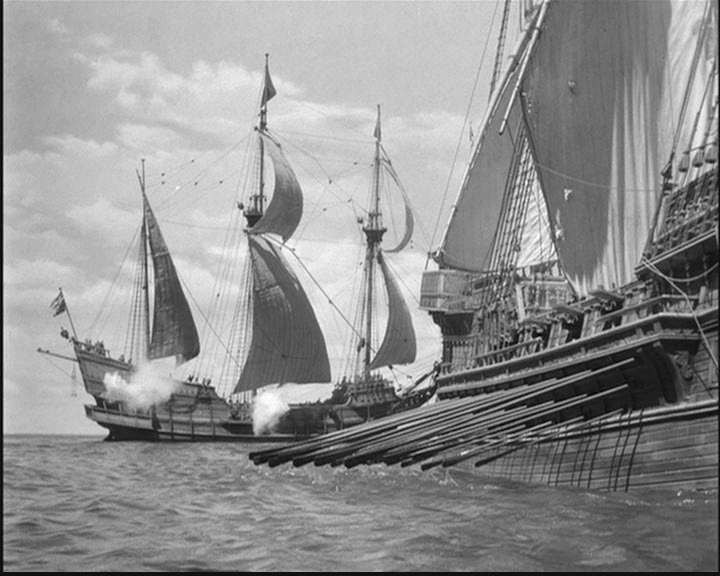 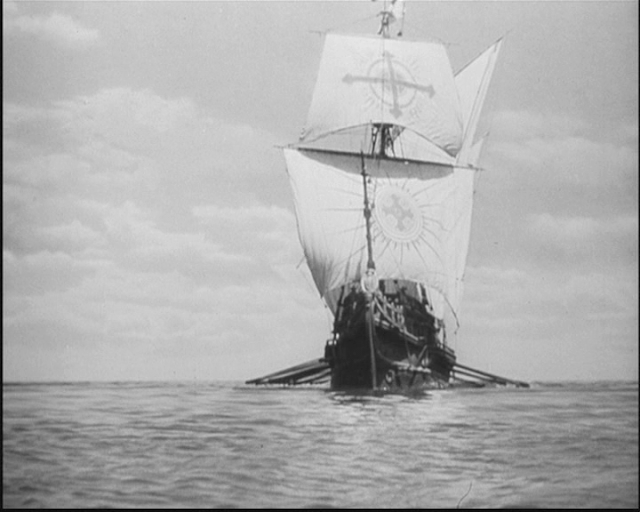 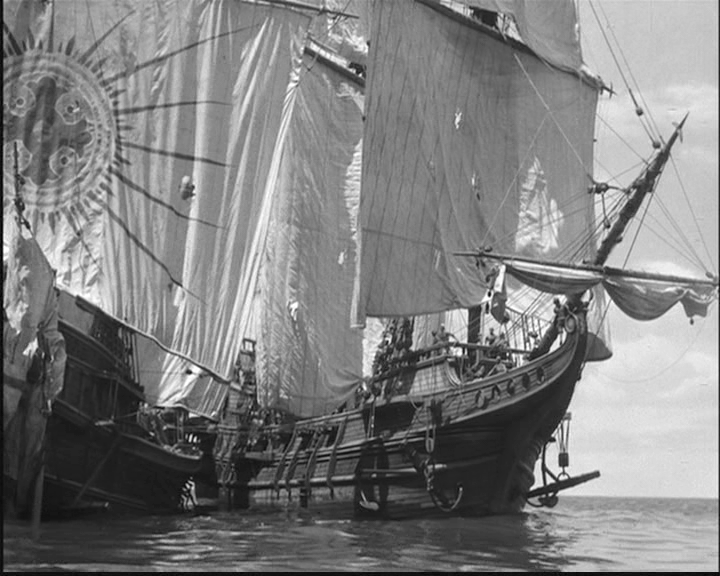 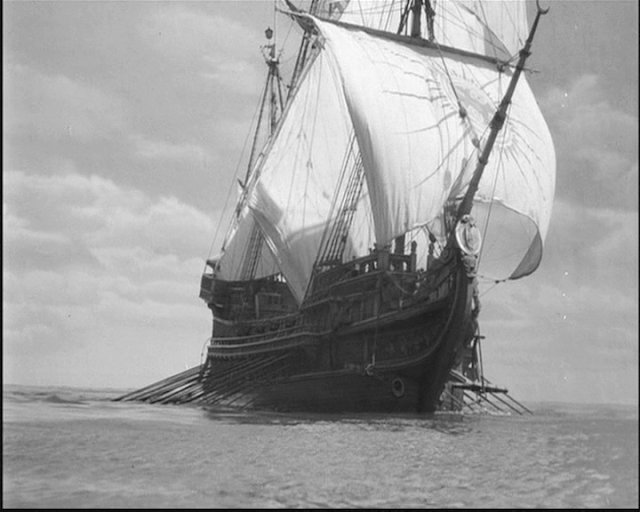 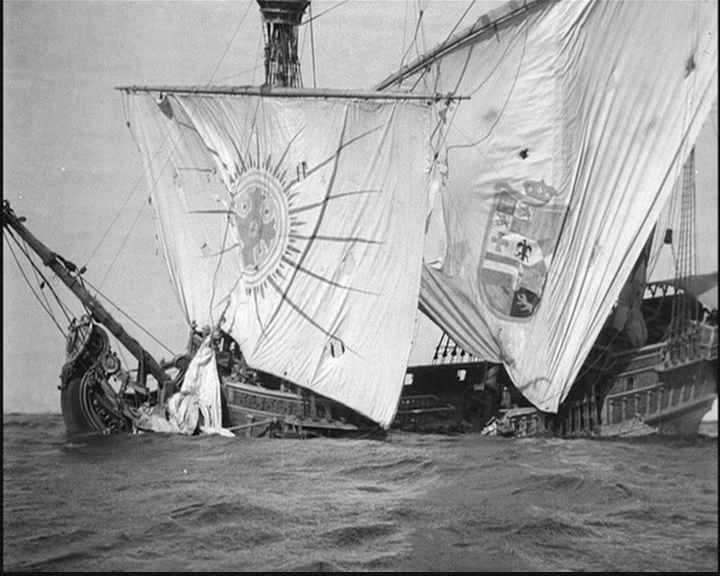 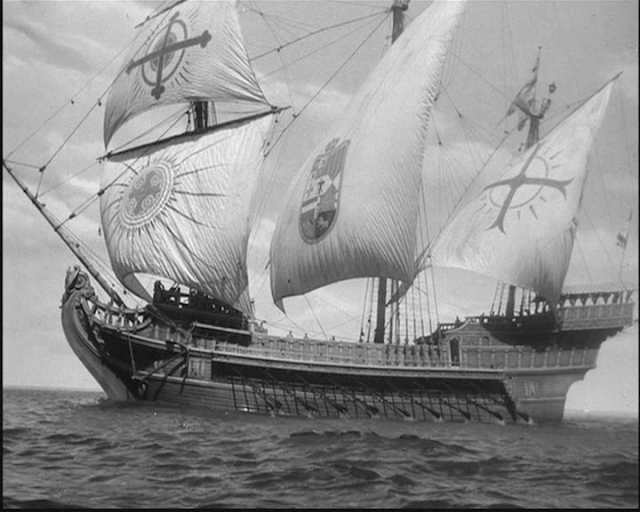 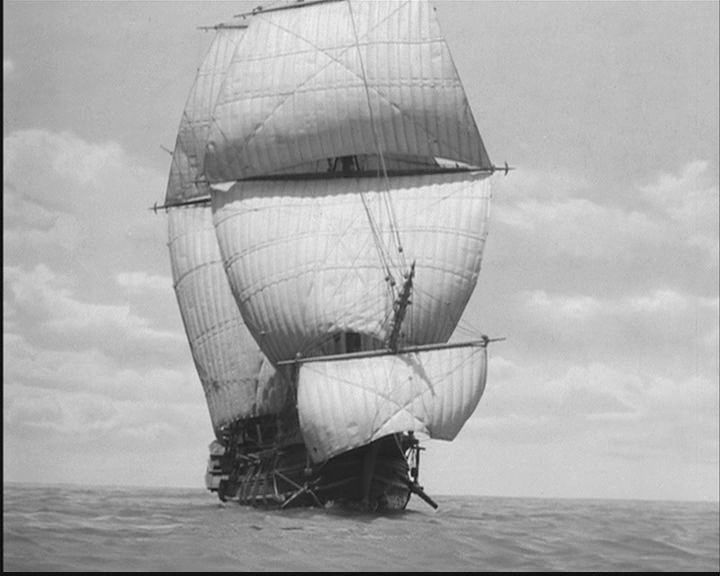 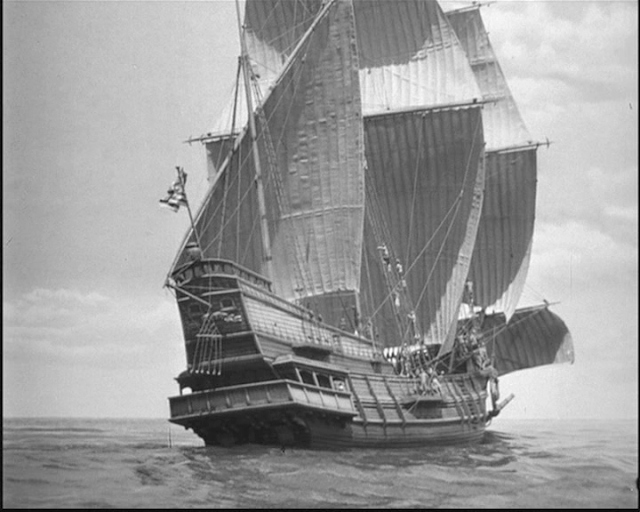 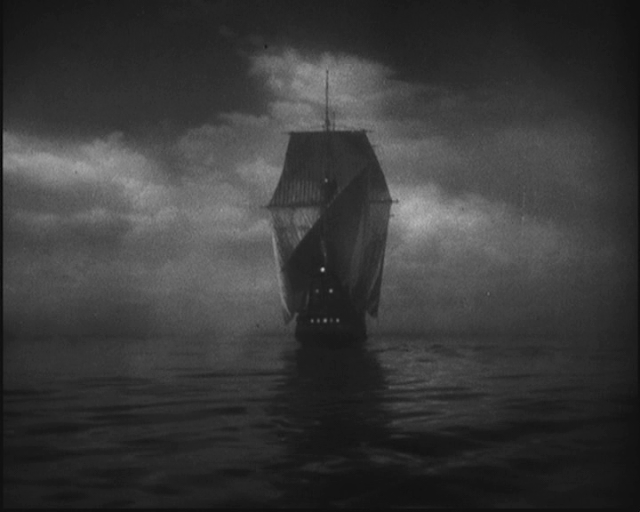 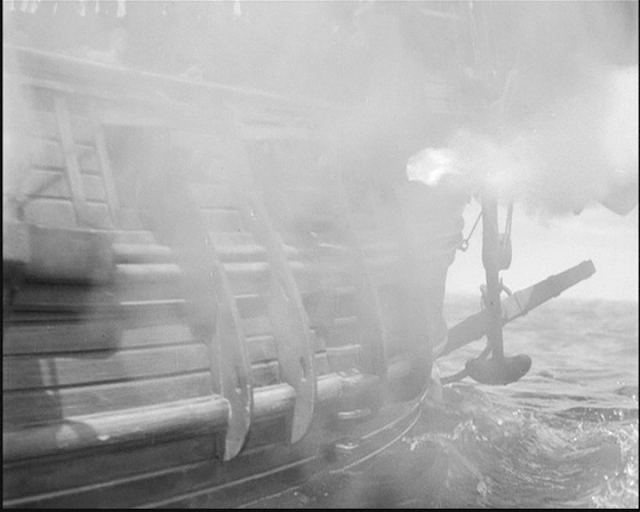 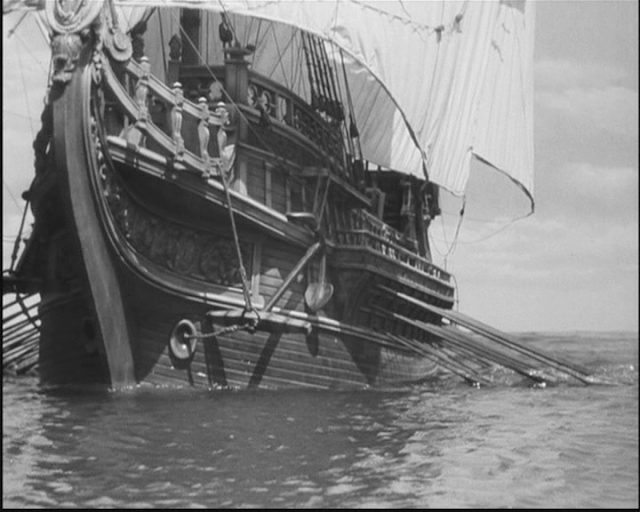 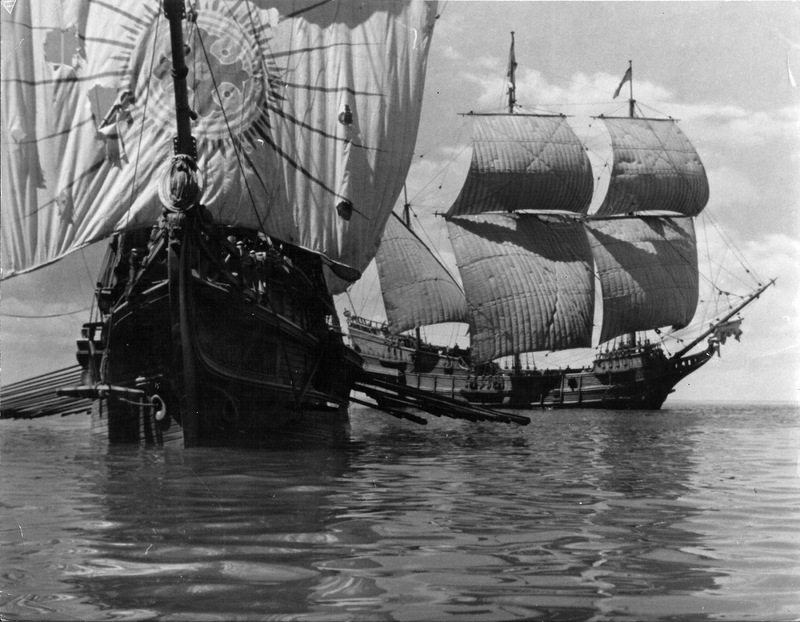 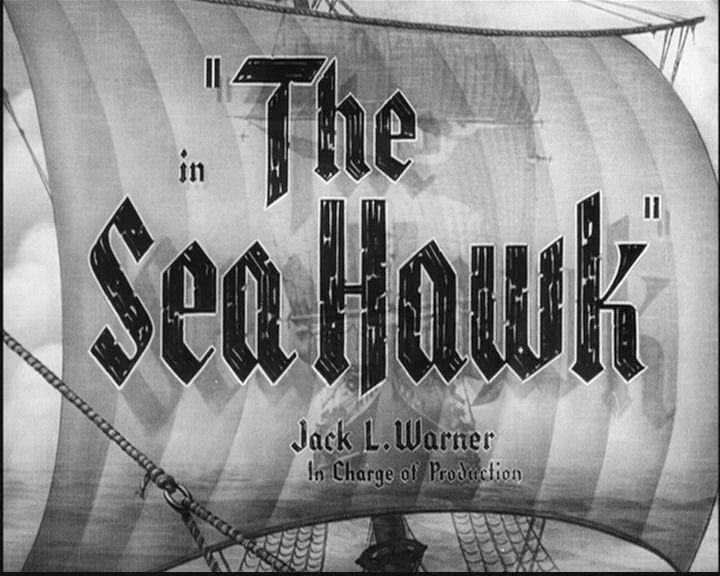 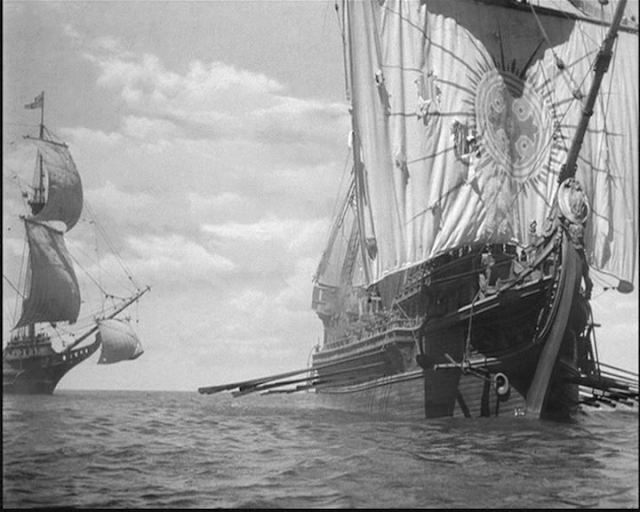 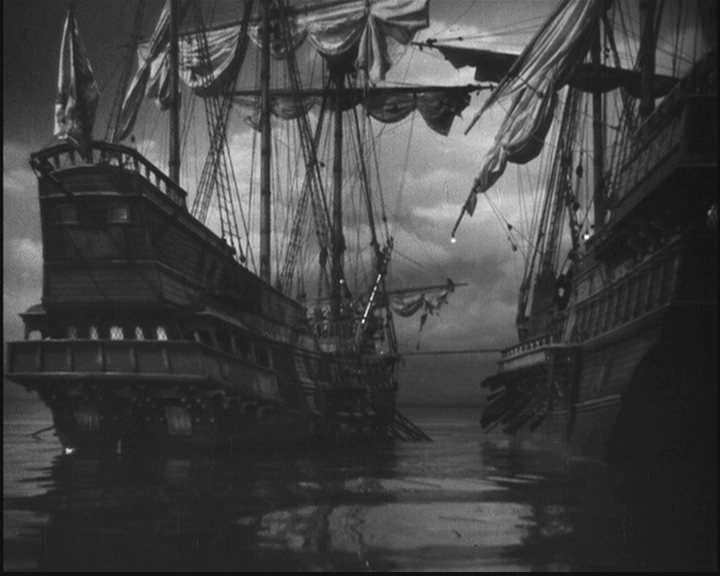 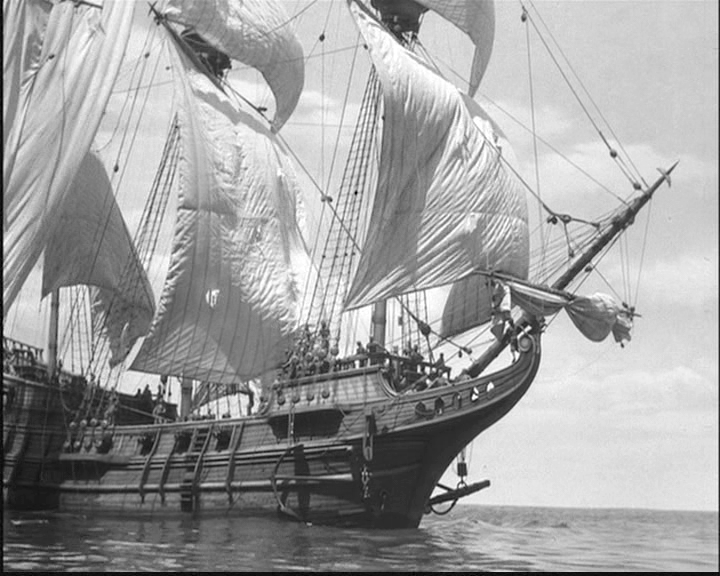 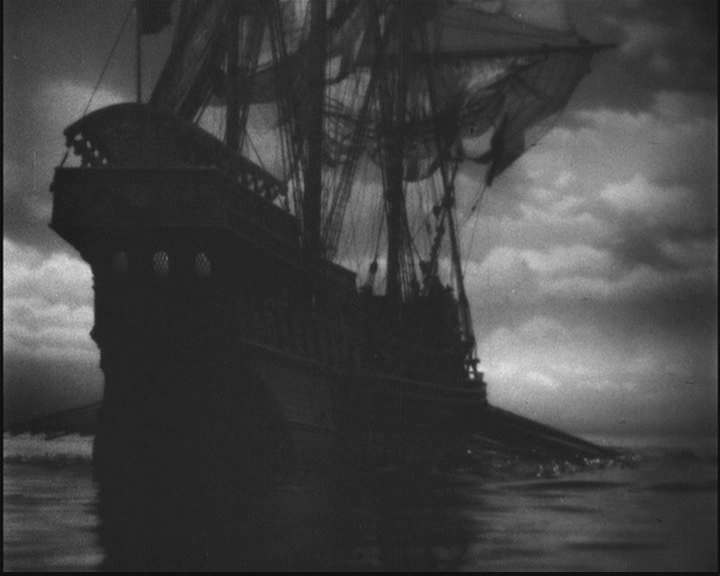 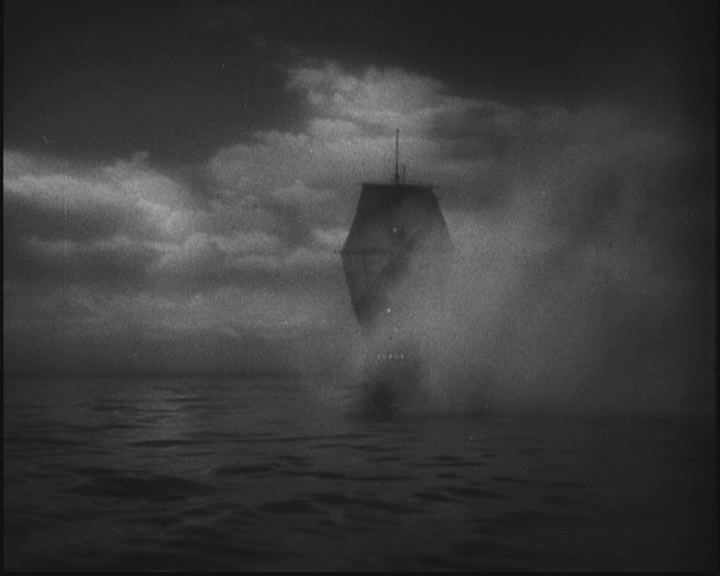 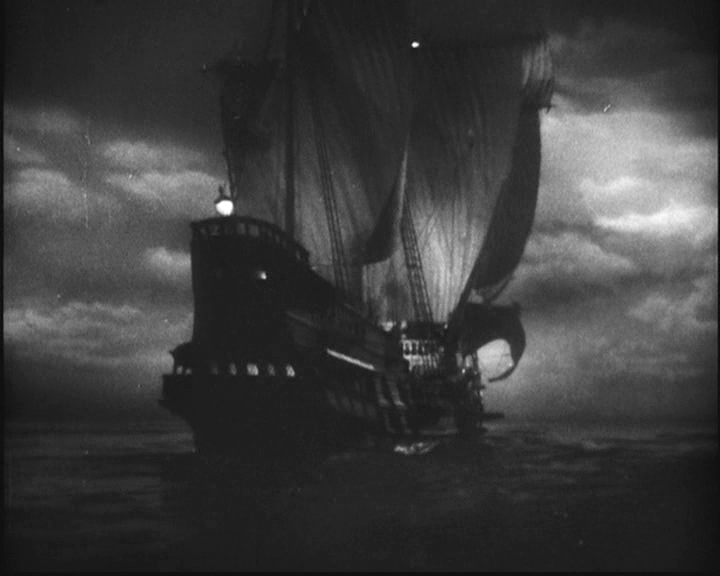 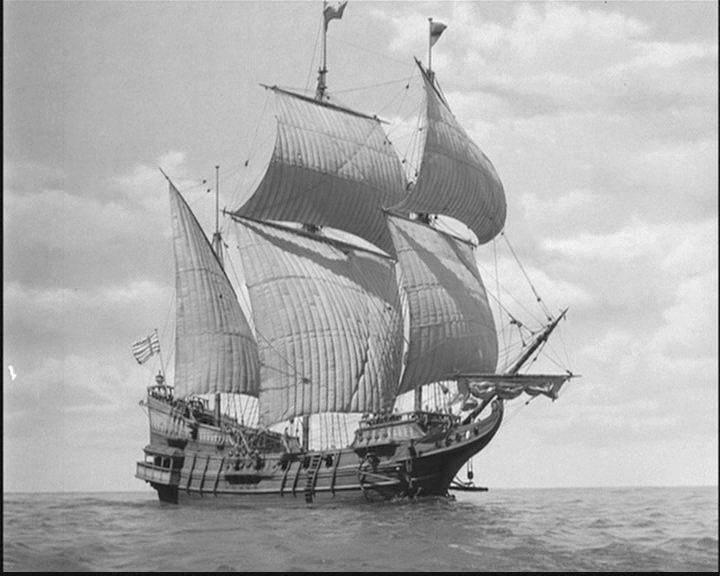 Generally regarded as the epitome of the swashbuckling genre, The Sea Hawk's special effects were nominated for an Academy award in 1940. 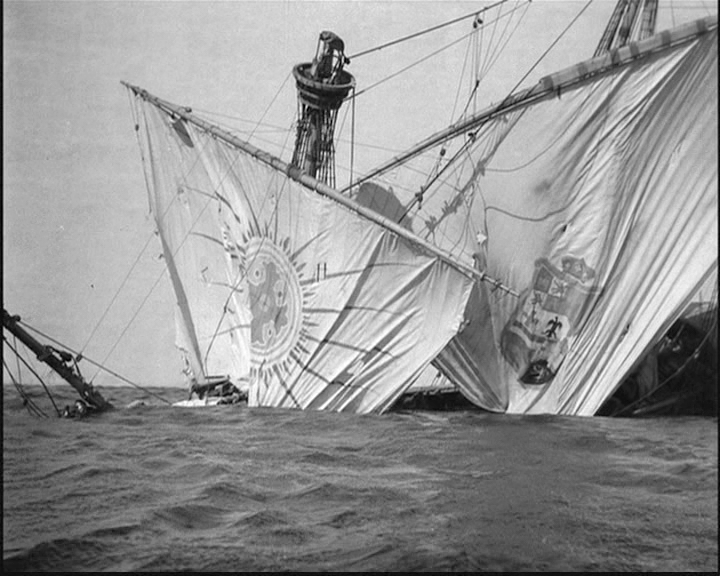 The Special effects were supervised by Byron Haskin and photographed H. F. (Fred) Koenekamp. 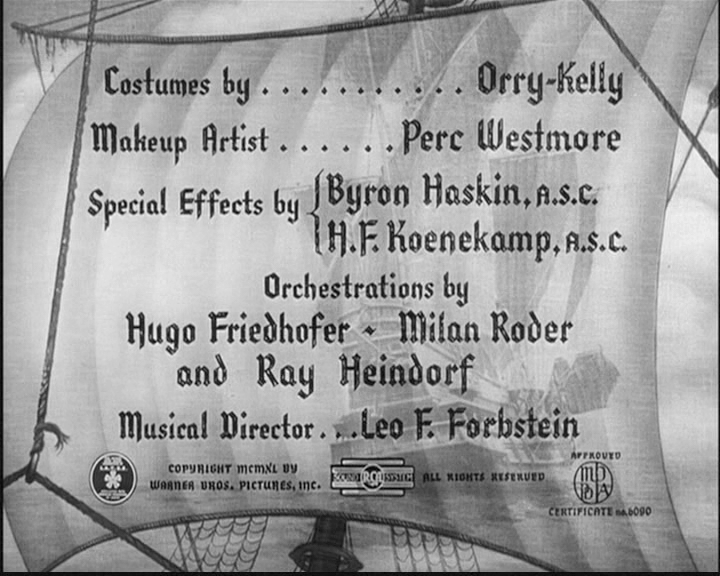 Byron Haskin described Fred Koenekamp as "the greatest trick man who ever lived." Haskin also said that each miniature ship, built to 1/12th scale, concealed an operator who, from a prone position would guide the rudder and work the little inboard motors and the tiny Cannons. 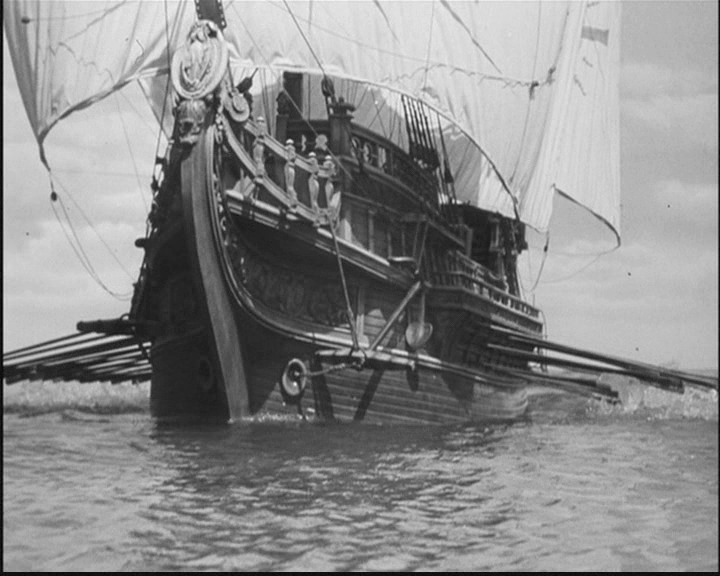 I assume the little inboard motors would be referring to the motorised rowing mechanism of the Spanish Galley. 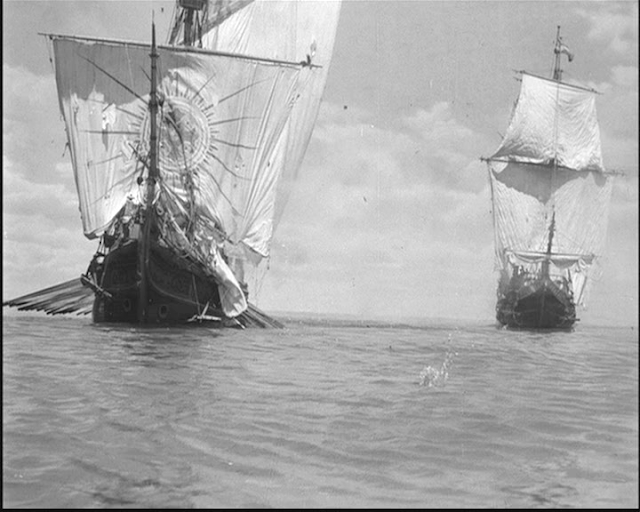 The models were generally towed through the water by an underwater cable. 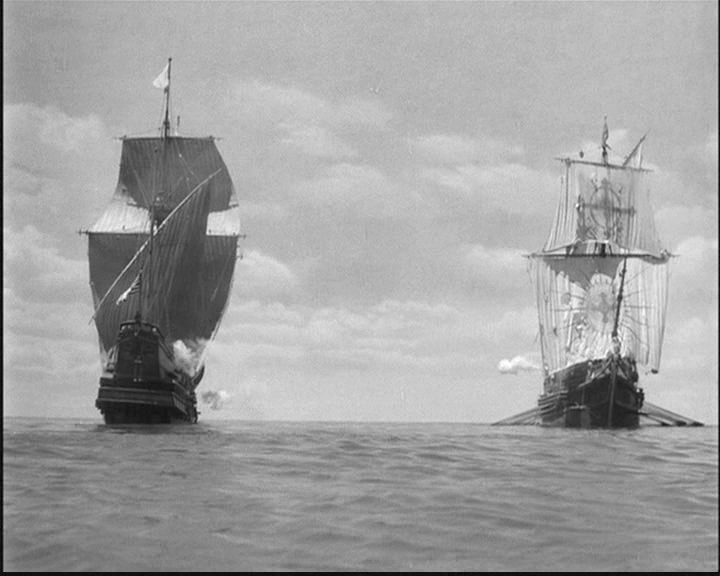 The ships were shot on the Warner Brothers backlot lake with the cameras mounted low in glass fronted boxes and shooting at around 70 frames per second. 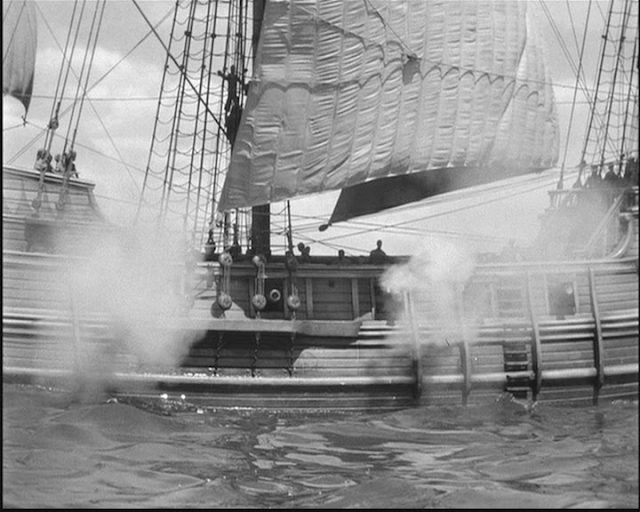 The bow waves were enhanced by a underwater nozzle pumping water up at an angle. 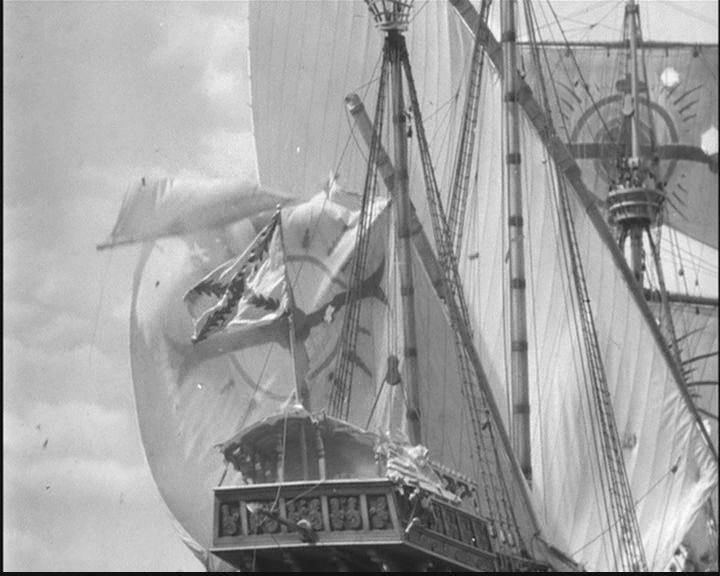 The models are very finely detailed with particularly good looking sails, and the camera gets pretty close in some shots. 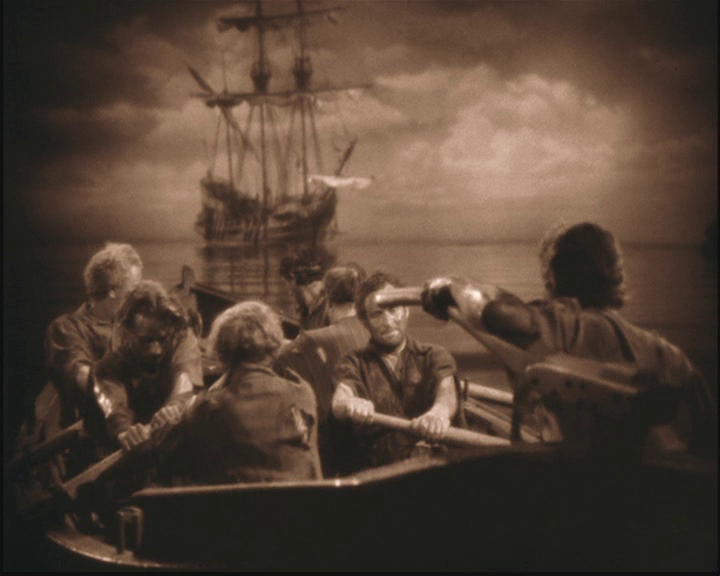 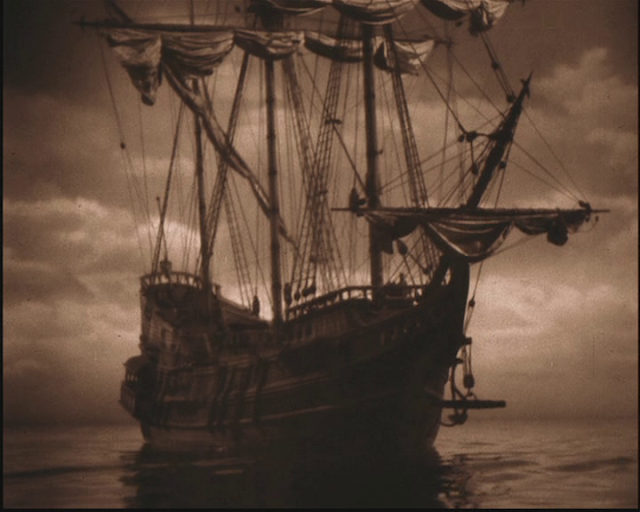 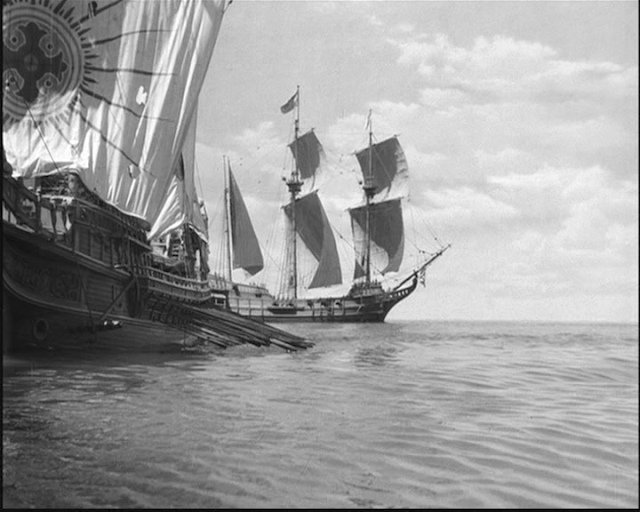 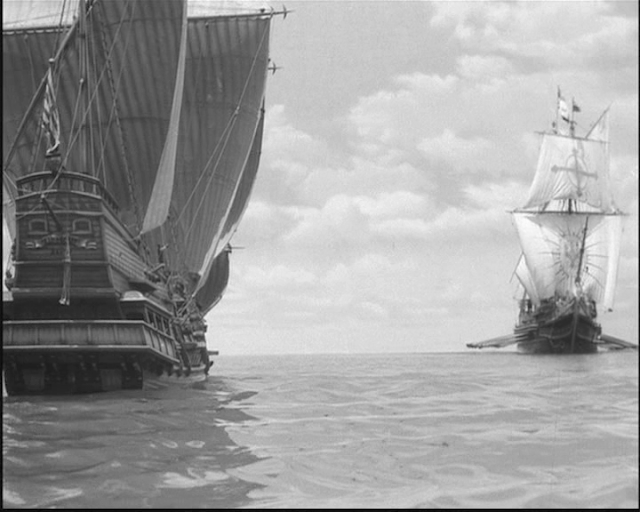 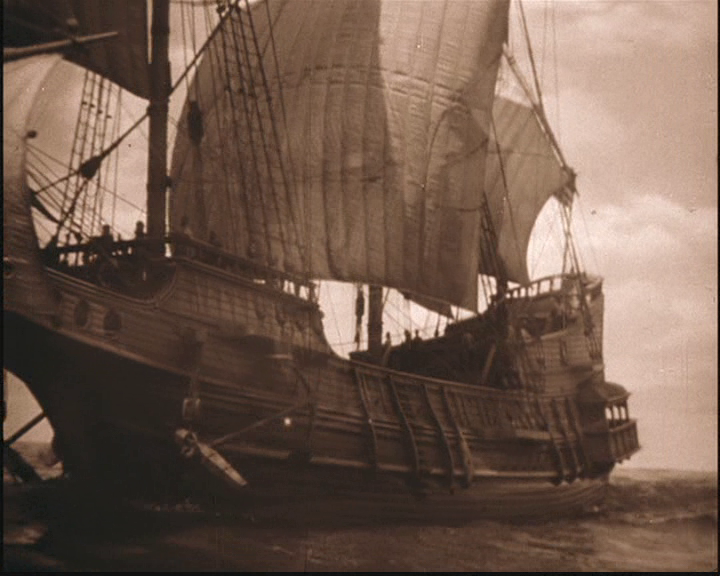 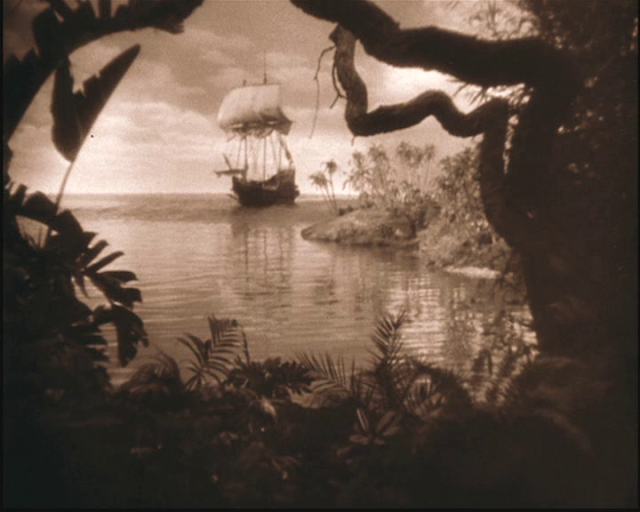 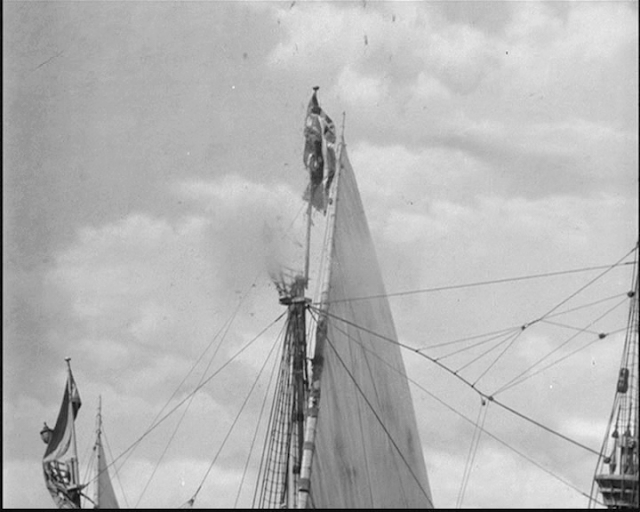 A section of the black and white film, namely when the story moves to Panama, was tinted a sepia colour. 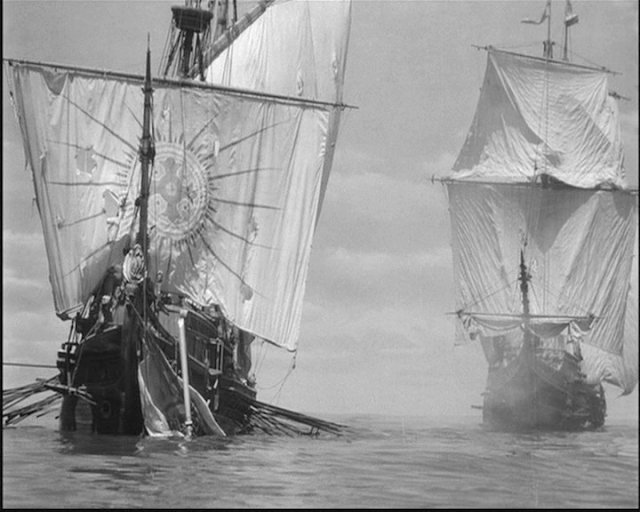 It was supposed to represent the unrelenting heat and humidity of the place as experienced by the characters. 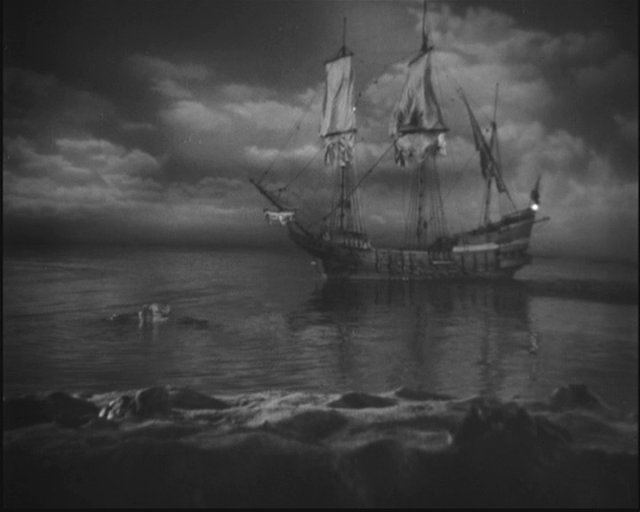 Note bendy rubber armed miniature figure posed atop the yard. 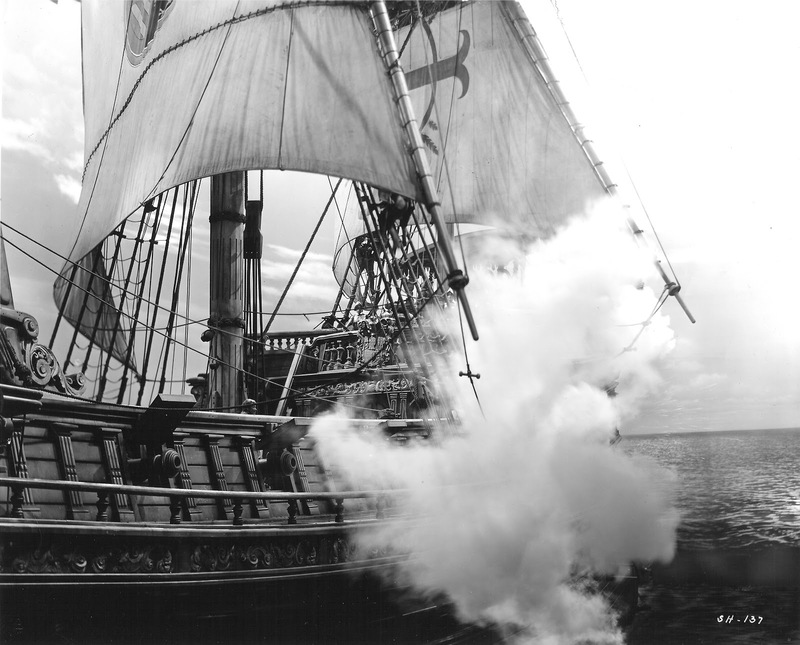 American Cinematographer Magazine August 1996, Part 2 of a Sea hawk article by Rudi Behlmer. 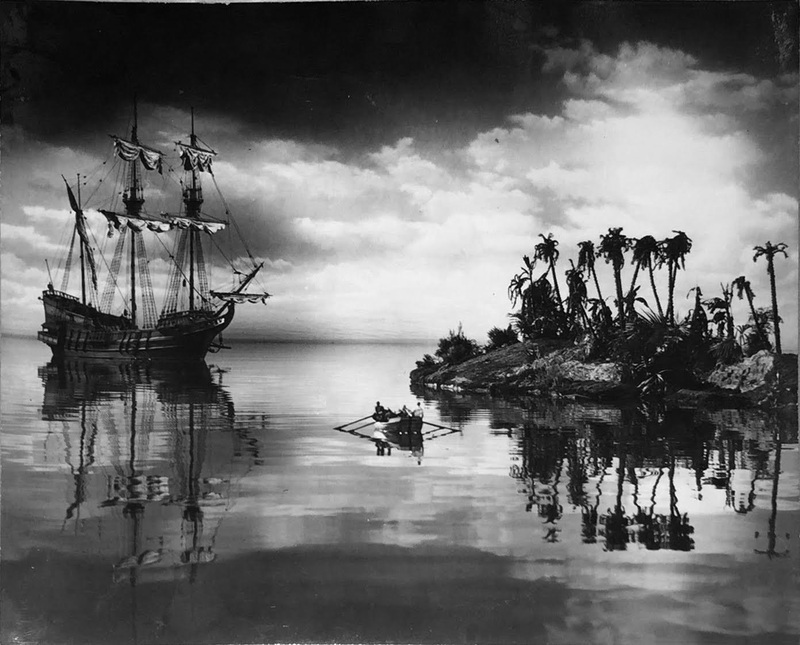 A directors Guild of America Oral History - Byron Haskin Interviewed by Joe Adamson, published by the Scarecrow Press 1984.